A state of the art practice utilizing the latest technologies in Chiropractic diagnosis and treatment including but not limited to spinal adjustments, soft tissue massage, trigger point therapy, ultrasound, electrotherapy, moist heat therapy, cold therapy, nutritional support, and therapeutic exercise programs. Mandel Chiropractic and Wellness Center is a state of the art practice utilizing the latest technologies in Chiropractic diagnosis and treatment including but not limited to spinal adjustments, soft tissue massage, trigger point therapy, ultrasound, electrotherapy, moist heat therapy, cold therapy, nutritional support, and therapeutic exercise programs. Our patients are treated to the highest level of Chiropractic care in a warm, friendly atmosphere. Please call (718) 631-9390 to schedule an appointment with the Chiropractor. 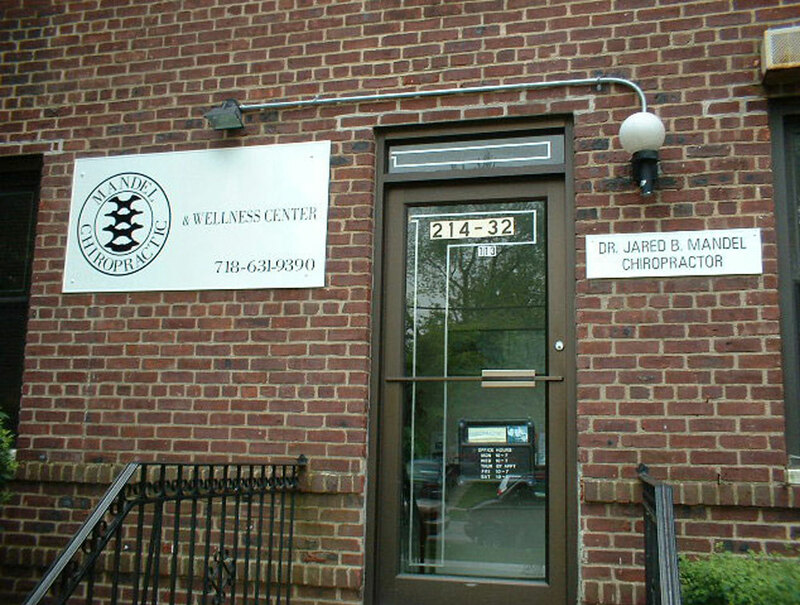 Conveniently located in Bayside, Queens, the services we offer include both Chiropractic and Massage Therapy. Both the Chiropractor and Massage therapist are currently accepting new patients.